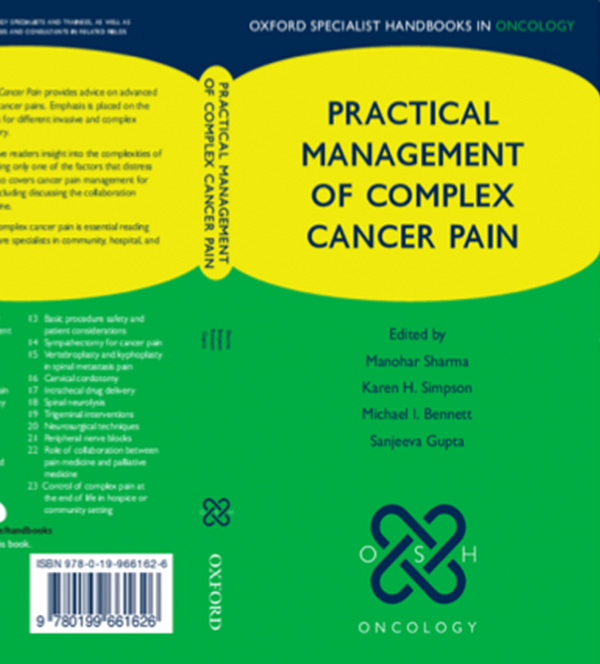 Oxford Specialist Hand Book in Oncology: Practical Management of Complex Cancer Pain. 2014.Oxford University Press. ISBN 978 0 19 966162 1. Nerves: anatomy and function; Recovery: general considerations. In Notes in Neuroanaesthesia and Critical Care. Eds. Arun Gupta and Andy Summors. Greenwich Medical Media Limited 2001. Anaesthesia for carotid surgery. In. Textbook book of Neuroanaesthesia and Neuro Critical Care.Eds Matta , Menon and Turner. S Gupta, R Khanna, J Richardson, S Lindsay. 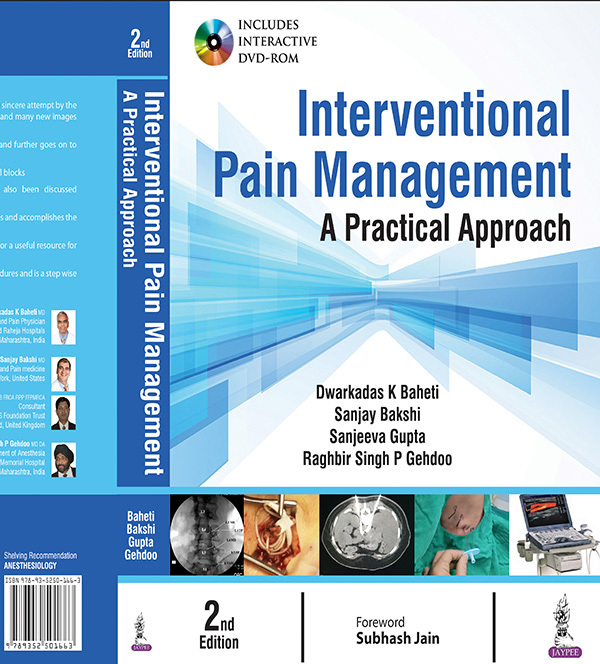 Spinal Interventions and Anticoagulants – An Attempt to Classify Spinal Interventions for Chronic Pain into Higher and Lower Risk Procedures. Published as E-Letter in British Journal of Aanaesthesia. November 2010. L Manchikanthi, S Datta, S Gupta, et al. A Critical Review of the American Pain Society Clinical Practice Guidelines for Interventional Techniques: Part 2. Therapeutic Interventions. Pain Physician 2010; 10: E215 - E264. N Collighan, S Gupta. Epidural Steroid. Continuing Education in Anaesthesia, Critical care and Pain 2010; 10 (1): 1 - 5. J Richardson, N Collinghan, AJ Scally, S Gupta. Bilateral L1 and L2 dorsal root ganglion block for discogenic low back pain. British Journal of Anaesthesia 2009; 103 (3): 416-419. M Garside, P Cramp, C Percy Clark, S Gupta. Oxygen prescribing in the postoperative period. Bradford Hospitals Clinical Guv’nor, Issue 7, January 2004. S Gupta, V Palit, J Richardson, et al. Chronic postoperative pain following inguinal hernia repair – aprospective study. European Journal of Anaesthesiology 2003; 20 (suppl 30): 182. C Holdsworth, S Gupta. Is your bougie helping or hindering you? Anaesthesia 2002; 57: 507. J Richardson, P McGurgan, S Cheema, R Prasad, S Gupta. Spinal endoscopy in chronic low-back pain with radiculopathy: A prospective case series. Anaesthesia 2001; 56: 447-460. S Gupta, N Kumar. Caudal Block. Anaesthesia and Intensive Care Medicine. 2001. 2:3: 93. S Gupta, J Richardson. Negative pressure pulmonary oedema following cryotherapy. European Journal of Anaesthesiology. 2001. S Gupta, J Francis, GE Porter, JMJ Valentine. 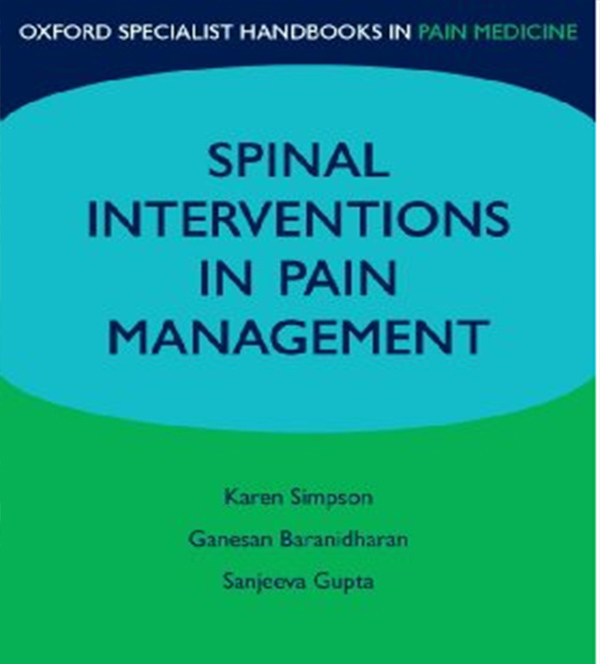 An independent assessment of a supraregional pain management programme and comparison of patients’ and general practitioners’ perceptions of the effect. Anaesthesia 2000: 55; 374 - 380. S Gupta, J Francis, AB Tillu, AI Sattirajah, J Sizer. The effect of pre-emptive acupuncture treatment on analgesic requirement after day case knee arthroscopy. Anaesthesia. AK Gupta, P Hutchinson, P Al-Rawi, S Gupta, M Swart DK Menon, A Datta. Measuring brain tissue oxygenation compared with jugular venous oxygen saturation for monitoring cerebral oxygenation after traumatic brain injury. Anesthesia & Analgesia 1999; 88: 549-553. A Raabe, DK Menon, S Gupta, M Czosnyka, JD Pickard. Jugular venous and arterial concentration of serum S-100B protein in patients with head injury : a pilot study. Journal of Neurology Neurosurgery and Psychiatry 1998;65:930-932. A Tillu, S Gupta. Effect of Acupuncture Treatment on Heel Pain due to Plantar Fasciitis. Acupuncture In Medicine1998; 16 (2): 66 – 68. A Tillu, S Gupta. Is acupuncture safe in patients with morphine hypersensitivity? Acupuncture In Medicine1998; 16 (2): 105 - 106. S Gupta, F Gilder, C Glazebrooke. Intrapartum management of a patient with Urticaria Pigmentosa.International Journal of Obstetric Anaesthesia 1998;7:261-262. S Gupta, D Niblett, MR Prabhu, MS Gupta. Severe non-ketotic hyperosmolar come – intensive care management. European Journal of Anaesthesiology 1998;15:603-606. S Gupta, JW Wilson. Sevoflurane for inhalational induction in patients with anticipated difficult intubation. Acta Anaesthesiologica Scandinavica 1998; 42:1232. S Gupta, R Kavan, Mogra C. Matching appropriately sized Reinforced Laryngeal Mask Airways with Boyle Davis Gags for paediatric adenotonsillectomies. Acta Anaesthesiologica Scandinavica 1999. S Gupta, K Heath, BF Matta. The effect of incremental doses of sevoflurane on cerebral autoregulation in humans. British Journal of Anaesthesia 1997; 79: 469-472. K Heath, S Gupta, BF Matta. The effect of sevoflurane on cerebral haemodynamics during propofol anaesthesia. Anaesthesia and Analgesia 1997; 85: 1283-1257. S Gupta, P. Chari, Indu Bala, J Muralidhar. Phacomorphic Glaucoma - an unusual cause of post operative vomiting. Anaesthesia 1994; 49: 959- 960. S Gupta, YK Batra, GD Puri, D Panigrahi, S Roy. Infection rates in single and double lumen central venous catheters in critically ill patients. The National Medical Journal Of India 1995; 8(3): 114-117. S Gupta, J Muralidhar, S Grewal, P Chari. Anaesthetic management of a patient with an unusual upper airway injury. Journal of Anaesthesiology and Clinical Pharmacology 1995; 11: 145-146. Grover VK, S Gupta, Sharma S, H Singh. Management of Tetanus - A review of 100 consecutive cases. Journal of Anaesthesiology and Clinical Pharmacology 1994; 10: 23-27. P. Chari, S Gupta. Measurement and assessment of Pain in children and Adults--Review Article. 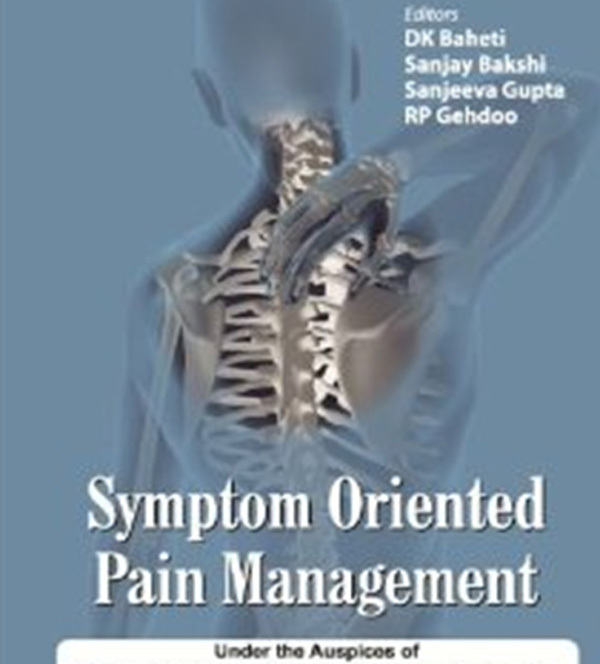 Indian Journal of Pain 1993; 7: 4-12. S Gupta, Sharma ML, Kalra R, Banerjee A, Wig J. Panel discussion on Post-Operative Analgesia. Indian Journal of Pain 1993; 7(1): 5-33. Batra YK, S Gupta, ON Nagi, H Singh. Role of mechanical ventilation in Fat Embolism Syndrome: Our experience in ICU. Annals of the National Academy of Medical Sciences 1993; 29(1): 21-26. Batra YK, S Gupta. Subclavian catheter tip malplacement in critically ill patient: A prospective radiological study. Journal of Anaesthesiology and Clinical Pharmacology 1993; 9: 105-107. S. Gupta, P. Chari, M. Verma. Right sided aortic arch-diagnosis by Oximeter. Anaesthesia 1993;48:1108.